Everyone is thinking “Green” these days and looking for ways to make the world a cleaner place. Why not start with the groundwater? Pump & treat is an old solution to an old problem. The oil and groundwater are both pumped from the monitoring well. 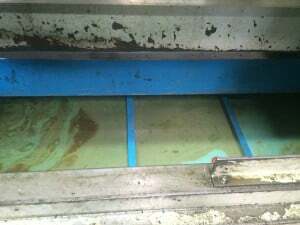 They are usually put into a collection tank and then the groundwater is treated to remove the oil. 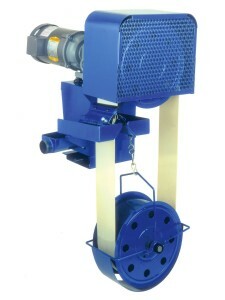 The PetroXtractor belt oil skimmer allows just the oil to be removed eliminating the need to treat the groundwater. The PetroXtractor line boasts models that are designed to fit in 2”, 4” and 6” (or larger) casings. 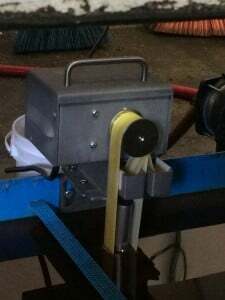 The belt oil skimmer uses groundwater surface tension to draw oil to the belt. A new solution to an old problem! 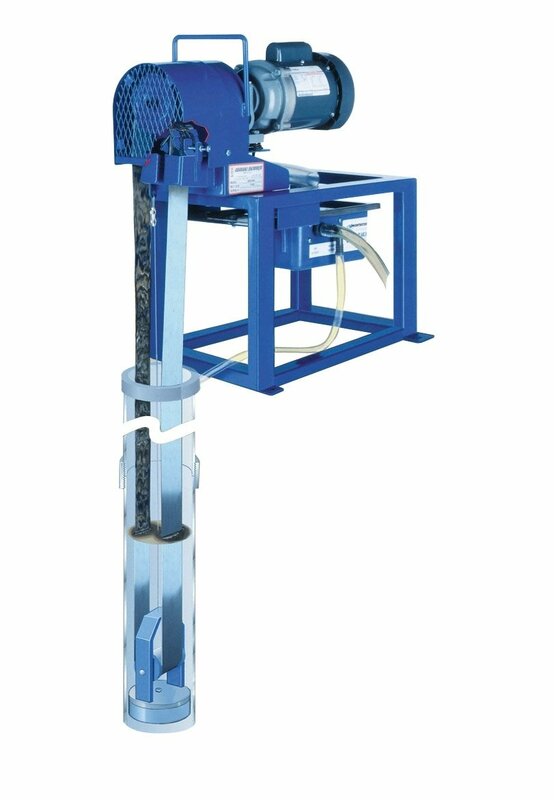 The PetroXtractor groundwater remediation oil skimmer can be placed in an existing monitoring well and remove the oil from the contaminated groundwater quickly and efficiently. Just like the rest of the Abanaki oil skimmers, the PetroXtractor can remove a wide variety of oils including fuel oils, coal tar, and creosote at rates up to 12 gallons per hour. No more bailing, no more expensive pump and treat. The PetroXtractor oil skimmer is the perfect green solution for groundwater remediation. The Abanaki Solar Powered PetroXtractor gives companies options where electricity is not available. Many times well remediation will occur at an abandoned site where electricity is no longer available and the cost to run electricity is cost prohibitive. Abanaki’s solar powered systems have all the same capacities that the electrical systems offer but without the need for electricity. The Abanaki solar powered system with its battery back-up is designed to work in all parts of the country. Find out more about PetroXtractor. Many customers have come to realize that, when they purchase an oil skimmer from Abanaki, it is not a “one and done” deal. 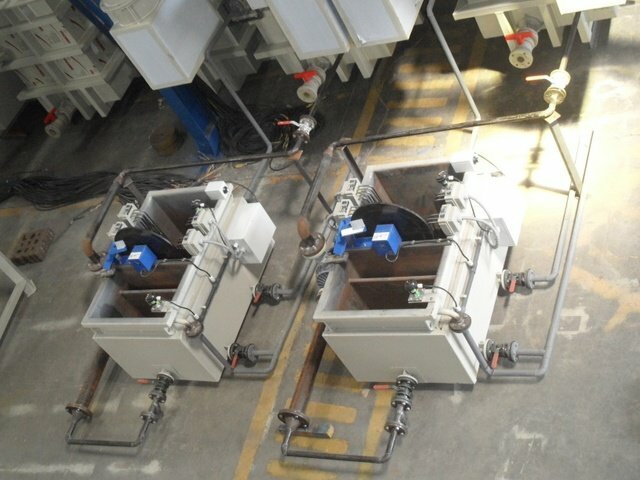 Although the rugged construction of all of Abanaki’s oil skimmers assures a long-lasting, beneficial product, proper maintenance is important. Lasco Fittings, Inc., a global leader in pipe fittings for Irrigation/Golf, Plumbing, Pool/Spa, and Industrial customers, maintains a 26-acre manufacturing facility in Brownsville, Tennessee. Hundreds of different parts with multiple manufacturing processes are created at their extensive facility. Oil plays a vital, yet bothersome and dirty role in their production. This is where Abanaki Corporation entered the picture for them, as it has for thousands of manufacturers worldwide. Lasco periodically inspects and maintains the units, ensuring that the Abanaki skimmers keep the company running with cost-saving, manufacturing-enhancing, and environmentally-compliant benefits. Abanaki oil skimmers extend the life of parts washers while also making them more efficient — by ending recontamination of parts. Abanaki skimmers have actively served for nearly two decades for a high-quality manufacturer like Lasco Fittings, Inc., and they certainly can for you. Are your parts washers working efficiently? 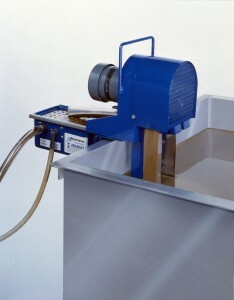 For further inquiry on Tote-It oil skimmer click below. 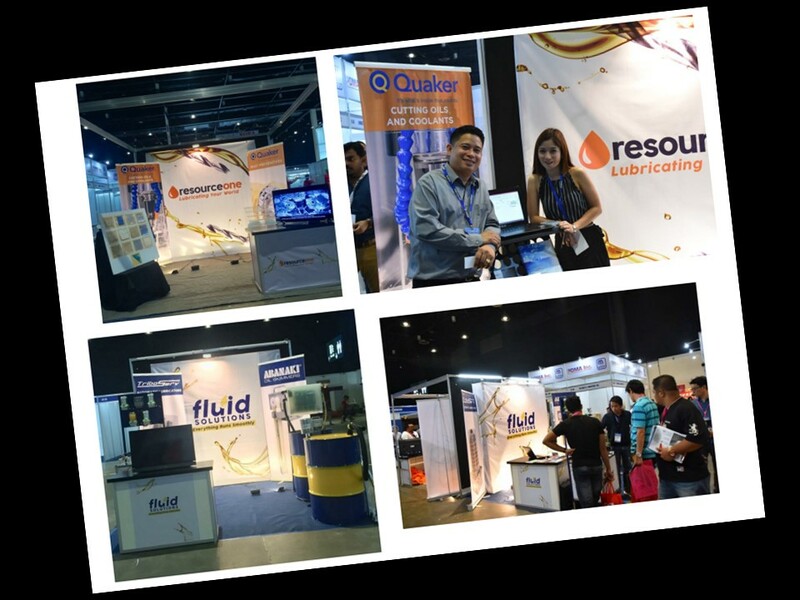 As always, the Abanaki sales team is here, ready and waiting to help you choose the right oil skimmer for your application. “Hopeless” Oil Skimming Emergency? Abanaki Comes to the Rescue! There are over 25,000 plating companies in the USA operating under challenging manufacturing conditions. Facing high temperatures, abrasives, extreme pH and chemicals in parts washers and holding tanks, effective oil skimming seems like a nearly hopeless task. Some companies know a solution. A select group of plating companies and metal finishers across the country are extending the life of their parts washer and eliminating recontamination of their parts. 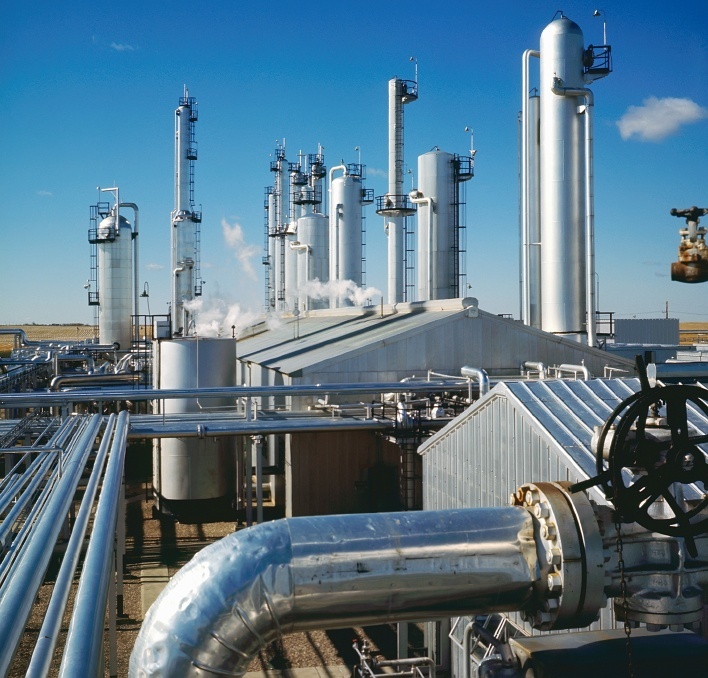 These companies recognized that removing oil from their parts washers and holding tanks would enhance manufacturing efficiencies and provide cost-savings. 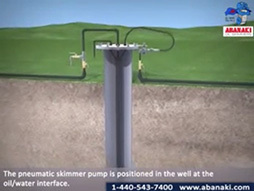 They found the solution with the trusted the leader in oil skimming over the past 70 years — Abanaki Corporation. By working with the oil skimming experts at Abanaki, each of these customers have been able to determine the most appropriate skimmer for their own specific application — the Mighty-Mini, the Tote-It, the Model 4 and the Model 8. And, rest assured, when all of the other plating companies and metal finishers are ready to address their “hopeless” manufacturing conditions, they'll dial Abanaki Corporation at 440-543-7400 to find their solution. To find out which of our skimmers would suit your application the best, click the button below to get our E-Book guide.